All our machine operators are fully skilled and dedicated engineers, providing customers with a wealth of experience gained within the Aerospace Industry. All required activities are carried out in accordance with manufacturers’ manuals and the regulatory authorities’ requirements. Turning – 22.0″ dia x 60″ b.c. & 30″ dia x 12″max. 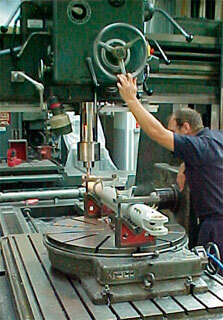 Cylindrical Grinding – 32″dia x 98″ b.c.